It is time for a refresh of my ‘ktown’ package set. KDE 5_15.12 has been uploaded, containing the latest and greatest: Frameworks 5.17.0, Plasma 5.5.1 and Applications 15.12.0. To be honest, the compilation had already finished on tuesday but due to the hectic work circumstances moving toward the christmas break, I did not have time to install and test the new packages on my laptop. Today, that has changed, and here is the new batch. One small disappointment… the colorful icons used for the shutdown & logout widget are again replaced by the old colorless flat icons. A regression in my opinion. Die flat colorless icons die! Anyway, don’t mind the ramblings of an old greybeard who yet has to pour his first drink of the holiday. On with the story. What’s new in KDE 5_15.12? Actually, I skipped a Plasma release! Starting with Plasma 5.5, the developers have adopted a more agile release schedule, meaning that after a point release (.0) there will be one or two fast bugfix updates (.1 and .2) followed by further updates with a slightly longer delay. I had built Plasma 5.5.0 and was about to apply the wrapping paper when several last-minute bugs were uncovered in the new Applications point release (15.12.0) which lead to delays in finalizing the repository because of all the patching and subsequent rebuilds. And by the time the Applications issues were resolved, I found the Plasma 5.5.1 sources ready so I archived my 5.5.0 packages and built 5.5.1 instead. Support for legacy Xembed protocol is back – the blueman and HP systray icons are again visible without having to jump through hoops. The package “xembed-sni-proxy” which I added a few releases earlier, is gone from my repository because its code is now part of Plasma itself. Don’t forget to run “removepkg xembed-sni-proxy“! Network Manager applet supports WPA2 Enterprise now. A Breeze theme engine for GTK2+ applications was added. You should be able to run a Wayland session now without too much pain and grinding of teeth. I did not test this myself, but some of you may want to tell me your experiences. Wayland is still a grey area to me, if not a black box. Like the new Plasma, Applications 15.12.0 was also announced earlier this week. It is a step further in maturing the KDE Frameworks 5 (KF5) ports of the KDE application collection. Highlight is the retirement of good old KSnapshot and the introduction of a brand new screenshot tool, Spectacle which should also be capable of capturing application menus and pop-ups. Apart from KSnapshot, other packages have been removed as well in Applications 15.12: Amor, KTux (both unmaintained), and SuperKaramba (Plasma offers similar functionality). And several artwork collections are no longer shipped: kde-base-artwork, kde-wallpapers and kdeartwork. Apparently “their content had not changed for a long time”. I am wondering if I should re-add these removed packages as part of the “kde4” subset, like I already did with some of the other old stuff. Give me your opinion about the value of Amor, KTux, kde-base-artwork, kde-wallpapers and kdeartwork! I will re-add them when the demand is high. And then there are the dependencies. I upgraded OpenAL, PyQt5, lmdb, added an updated sip package (i.e. newer than Slackware’s own), added the two aforementioned noto font packages and also added yet another new dependency for KWin: libxkbcommon. I am also working on a new release of the Plasma 5 version of my Slackware Live Edition. It depends on whether I can get UEFI boot to work properly. That milestone will also become the “Beta 3″ release of my liveslak scripts. A link to the Plasma 5 Live ISO will be added to KDE’s Plasma 5 Live testing page, so that more people can get a taste of Slackware-current topped with Plasma 5. Upgrading to this KDE 5 is not difficult, especially if you already are running KDE 5_15.11. You will have to remove old KDE 4 packages manually. If you do not have KDE 4 installed at all, you will have to install some of Slackware’s own KDE 4 packages manually. Posted: 19 December, 2015 in Slackware, Software. webster… does not have any relevance to this article does it? If you installed Nvidia’s binary driver and upgraded xorg-server, you *must* re-install the driver. And since there was a new kernel in slackware-current as well, you need to compile a new nvidia kernel module anyway. Ok Eric, overall, plasma work correctly, just kmail crash, when leave, but it work. Alien, I know, I read Xorg log, but I cannot found there any warnings , I’m afraid that is bug of nvidia drivers. Also feature request for package qt5 – can you add qt5-x11extras with next update ? MiRacLe… “qt5-x11extras” is a sub-package split off the main qt5 package, used by non-Slackware distros. However, Slackware does not split packages into sub-packages. The files you think you need are already contained in my qt5 package. Yes I am aware of these two bugs and I think it is a pity that the stupid “I18n_plural_argument_missing” bug was not fixed before release. Hi alien! All is working properly save for the bugs you noted. Thank you! I concur with your appreciation of icons. In addition, the most recent default walpaper is downright awful. This update caused all my windows to lack frames. I don’t know why. Also, I use an Intel graphics card. my screen remained black also, this was because /etc/X11/xinitrc was still linked to xinitrc.kde, and not xinitrc.plasma. Helios, I had linked correctly to kde.plasma using xwmconfig to set it. When I use just intel drivers without “xorg.conf” file, kde work correctly. I’m afraid that is bug of nvidia drivers. Geremia, if you are missing the window decorations, then KWin does not start. Did you install the new libxkbcommon package in “deps”? KWin requires it now. KSnapshot does not working, and Plasma Wayland session cannot start – return to SDDM login manager. KSnapshot has been retired and replaced with a new screenshot application, Spectacle. Indeed, baloo was needed for as long as kdepim was still based on KDE4. But that has changed a couple of months ago. Next release of my KDE 5 will say goodbye to the KDE4 based baloo. vision, for using Spectacle (replacement for kscreenshot) i\’m remove khotkey\’s configuration (~/.config/khotkeysrc) and restart \”Input actions\” background kde service. Also remove the package “ksnapshot” if you forgot to do that. Thanks Gérard Monpontet & MiRacLe! For some reason I had an SBo build of libxkbcommon, version 0.2! KWin DEFINITELY crashing Eric. NOT from lack of libxkbcommon at proper version either. Might try a new QT build here, or just run openbox for my windowmanager for now. I suppose I might go with the proprietary nVidia driver for my old GeForce 8400 card too, or try Arn Exton’s kernel hack, but I want to keep things pure Slack when possible. You getting much other static about this yet? Gerald, no one except Geremia is complaining about kwin not starting, and his issue was resolved with a proper libxkbcommon. Try to catch the errors. It starts alright, just crashes frequently. I’m looking at similar cases with Plasma, dating back over the past year. I still want to see what happens with kernel 4.3.1, just to compaqre. I suspect its qt-5, where the bug abides. should be recompiled as the plugins directory is in the wrong place /usr/lib64/plugins instead of /usr/lib64/qt5/plugins. I guess that setting -DKDE_INSTALL_QTPLUGINDIR=”$(/usr/bin/kf5-config –qt-plugins)” in the build scripts will solve this problem. kdepimlibs-15.12.0-x86_64-1alien.txz has an issue with the following header /usr/include/KF5/AkonadiCore/std_exception.h. In your package it includes “/usr/include/c++/5.2.0/exception” and this path does not exist anymore since upgrading to gcc 5.3.0 (it should point to 5.3.0). Ok, manciuleas, you have right for kdepimlibs, i recompiled kdepimlibs and i do no have this isssue but eric package has. Also, I’m getting Baloo and kcmshell5 crashing. I get occasional crashes in kcmshell5 too, mostly related to stuff that requires input of the root password (like setting time etc). … and add baloo-widgets (no idea why that was missed). I am waiting for Pat to provide some updates before I start recompiling those though – because I may end up having to recompile more than the above. This is also the reason that I delayed a release of Beta3 of my Live Edition. Hello, in the new kde-applications should not be there kde-live? Fabio, perhaps you meant “kdenlive”? I will not compile that, because it requires packages that I am not willing to add to my Plasma 5 repository (ffmpeg, mlt). There’s lots of other sources in the “applications” source directory that I am also not compiling, because they depend on for instance pulseaudio, opencv etc. /usr/bin/startkde line 23: /usr/lib64/qt5/bin/qtpaths: cannot execute binary file. Exec format error. /usr/bin/startkde line 34: /usr/bin/kcheckrunning: same error message. /usr/bin/startkde line 137: /usr/bin/kstartupconfig5: same error message. Thanks for all your contibution to Slackware. Gérard all you need to do is create a symlink “ln -s applications5 cmake/” for the application sources that were built with incorrect Qt5 paths. Ars, did you install 64bit packages onto a 32bit Slackware OS? One more package with issues: OpenAL. openal-info fails with an error message. OpenAL 1.17.1 is out and after I upgraded openal was back to normal. fix compil options (without confict with others plasma elements). I have tried unrar-4.2.4 and unrar-5.3.7 no difference. Workaround is to use old version of ark. I can’t find a fix for Ark in their git repository. I do find the error on the internet but the cause and a fix are inconclusive. It only happens with RAR archives in any case. FYI, I rolled my compositor-> rendering backend setting back to XRender under Display and Monitor and that stopped all the weird crashing and garbage like transparent window decorations. I suspect that my old GeForce 8400 card might be causing the Open GL backends to puke. I’ll run for a day or 2 and see if things stabilize. 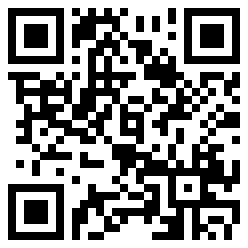 You might tell other folks about this if they yelp about Kwin…. I KNEW something was up when Openbox worked, and Kwin kept crashing. The current solution is to install not just “unrar” but also “rar”. Unfortunately Slackware does not ship either, so even when the bug is addressed and “rar” is no longer a requirement, we still face the missing “unrar”. I am not going to add a unrar package to my ‘ktown’ repository because it has zero chance of getting added to Slackware, so please add your comments to the above bug report, stating that some distros are not shipping “unrar” either. I’m not aware of any alternative of “unrar” for handling rar extraction. If they remove “unrar” support Ark no longer will be able to extract rar archives. Building and installing “unrar” is not a big deal if someone needs to open rar files. and Ark is extracting rar archives without problem. Hi Emsi, I already updated the KDE bug report with a request to allow the unrar support in libarchive as an alternative to requiring unrar to be installed. I will apply your small patch to ark and recompile it. Time to recompile (or create) a couple of packages, now that BlueZ 5 has finally landed in Slackware -current. I am going to take the patch for kdepimlibs (prevent crash in kmail) but the others need to be evaulated first. “Reduce the crash” is not good enough. And I am going to remove the old KDE4 based baloo-widgets and nepomuk-widgets, these are probably no longer needed. Eric, dolphin need recompil with baloo5 and kde-baseapps, need recompil on new recompiled dolphin, because konqueror depend on dolphin. Gérard, why should I recompile dolphin? Looking at my old build logs, dolphin needs baloo5-widgets, not baloo5. Gérard I am not going to remove the baloo (4) package; I am just going to remove the binaries in /usr/bin/ . No need to recompile anything because of that. Gérard are you certain that kde-baseapps is the last to depend on the old baloo (4)? Yes because konqueror part of your kde-baseapps package no work with baloo(4) package uninstalled. Upgrading to KDE 5_15.12 broke my sddm. I found this was compiled against icu4c-51.2 and not against icu4c-56.1 which i now have (through slackpkg). I got things solved by extracting the relevant files out of the ‘old’ packages, and putting them in /usr/lib64. So I guess this package needs to build again too. And thanks a lot for your continuous effort for improving our beloved distribution! The 64bit sddm-qt5 package in my repository is already compiled against the new icu4c 56.1. I do not have a 32bit OS running at the moment, so I can not verify the status of the 32bit sddm-qt5. Are you on 32bit Slackware? Hi. I have KDE-5_15.07 installed and the README says I have to upgrade to KDE-5_15.09, remove some packages, and then upgrade to KDE-5_15.12. Where can I find the packages to upgrade to KDE-5_15.09 since the mirrors only provide the latest version of KDE(currently being KDE-5_15.12)? Thanks in advance! naikin, you’ll have to use the README to find out for yourself what needs to be installed/re-installed/removed. You need to jump straight to 5_15.12. I do not keep older KDE releases online, and since this is all a testing ground for what might get added to Slackware in a year, you’ll have to do a bit of handywork yourself I’m afraid. Hey Eric, thanks for another great release. One issue though – fonts inside Thunderbird look like crap now – does this have anything to do with the font change from oxygen-icons to noto? Robby – can’t tell… I have not yet used Thunderbird on Plasma 5 but I will have a look. I decided against keeping the oxygen TTF fonts because of the additional size plus they should no longer matter, but if you prefer these fonts there is no reason not to keep them in. I will have the oxygen-fonts package back in the next ktown update. Hi thanks, I was able to make it work but I am having problems with dolphin – it does not start at all and it says it is missing libkdeinit4_dolphin. I saw other people had similar problems so I was wondering whether they have found the fix? I could not re-compile kde-baseapps because the SlackBuild script throws an error and does not execute till the point where it compiles the kde-baseapps package. naikin, why are you compiling these packages? Just take my packages and install them. After that, examine your /var/log/packages/ directory, find any old package of mine that does no longer belong (or read the README to help you decide which packages are no longer needed). In particular, make sure that you upgrade to the Slackware versions of some of the “deps” packages that I still had in 5_15.07 (I think that xapian-core is the only one). FYI, libkdeinit4_dolphin is part of the kde-baseapps package. i think nepomuk is obsolet now. Gérard, can be, and for your computer that’s just fine. But nepomuk will have to stay if this Plasma 5 is going to provide a migration path for users of Slackware’s KDE 4. How nice is this job you carry on regarding to providing us these previews for Slackware community! Congrats. I tried a fresh installation of Slackware64-current, but I only installed the bare minimum packages from KDE4 as you suggest. And after that I installed the packages for Plasma5, from your ktown repository. Everything else is running fine up to now. But now I cannot log into the plasma shell if I setup init default to runlevel 4. What I might have done wrong? Thanks in advance! And Happy New Year! juste contain the ‘bluez-qt’ package, all other bluez-qt files (.lst, .txt, .asc, .meta, .md5), are no present. Gérard I know. The slack-desc file was added in this commit: http://taper.alienbase.nl/cgit/ktown/commit/?h=5_15.12&id=16e613e2585bb42feb26d70a89d8a1945c6a8827 but I had already built the package. Since it makes no difference to the working of the package this missing slack-desc will be fixed in my next KDE-5 release. CarlosNihelton you need to give more information if you want an answer. What is (not) happening when you boot the computer to runlevel 4? Does the graphical login manager start or not? Does it accept your account/password or not? Can you see (parts of) the initialization of the Plasma Desktop or not? Etcetera. Gérard on the other hand, since “bluez-qt” is now invisible from a tool like slackpkg+ or slapt-get I may fix it sooner. Not now though, work is again ramping up for the new year. Thank you so much for all your work on the repositories. I’m now in the process of discovering Slackware after a long time using Debian and Arch. – kmix is at version 5.12, but in KDE it shows as version 4.14. – there is something wrong with the i18n files at logout. Message”plural arguments missing” shows in place of the usual logout message. As it is the first time I install KF5 in Slackware, I probably forgot or missed something, though I read the provided documentation. Has anyone ever noticed the same issues mentioned above? BTW, I am using x86_64 Current. Many thanks and happy 2016! – Kmix is built againt kdelibs 4.14, which is why, is seems, it shows as KDE 4.14. I guess that being accustomed to another distribution made me forget that I should use “plasma-pa” with pulseaudio 7 in KF5, not Kmix, though it works. For full integration, I will figure out how to compile plasma-pa.
– regarding the i18n errors, I did not see that this had already been discussed in this thread and that there is a bug already filed. I guess I have replied to my own questions… Sorry about that. Thanks for all this good stuff. Hi tuxolinuxt, glad you like it. # KF5 support is in work. A build will be triggered by adding “-DKMIX_KF5_BUILD=1” to the cmake call. 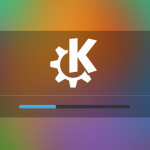 Which means that KMix is still being built as a KDE4 application and not a KF5 application. All KDE4 applications get the version number of kdelibs which is 4.14.15.
tuxolinuxt, since pulseaudio is not part of Slackware, the plasma-pa sources have not been compiled into a package. If you want to compile it you’ll also have to compile and install pulseaudio yourself. Yes, indeed, thank you, I will build pulseaudio from the slackbuilds and plasma-pa on top of it from source. Just for information, the plasma-pa module was built successfully on my system. The only thing I had to do was to set the cmake options to set the install prefix (/usr) and the lib path (/usr/lib64, in my case) and to use the qt system paths, otherwise it would not work. I can’t find the package dolphin-plugins-15.12.0-x86_64-1alien, am I the once that missed it? Hi Michelino – looks like I accidentally archived it together with the dolphin package when I rebuilt that last one. I am restoring the dolphin-plugins package from my archive now and re-adding it to the repository. Thank you for your huge work! Many thanks to you for the done work. Everything is excellent, besides, that telepathy and vacuum-im don’t connect on jabber. And Psi-well connects. Why so? Eric, you have extra-cmake-modules triplicated in ktown (x86). The “deps/extra-cmake-modules-5.16.0-i486-1alien” should have been removed and I will do so. There is a package in deps as well as in frameworks because some people who recompile from scratch need the extra-cmake-modules for other packages in deps but it would not be built until you get to the frameworks otherwise. Eric, if you’re still having trouble compiling QT5, please send me your Slackbuild of it and I’ll do it for you. My old HP Proliant server, while not THAT powerful, has better CPU cores, registered ECC RAM etc and normally knocks out QT5 in under a night, and does it right. I need to be able to compile and recompile in case of errors so ‘outsourcing’ the compilation process has never been an option. For instance, I need to recompile qt5 and phonon for the new pulseaudio but I ran into unexpected build failure which I had to investigate during a series of partial recompilations. Also, I am too paranoid to let someone else compile packages on my behalf. openal need recompil with pulse, no problem, compil perfectly. Gérard I know I know. I am way past those builds already.